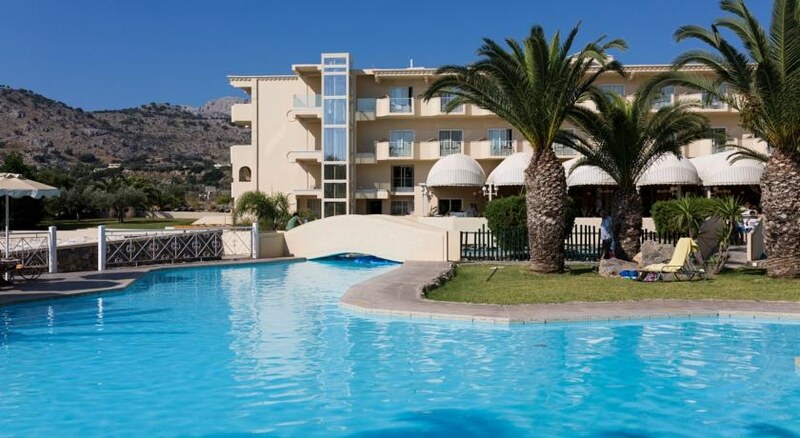 Lindos Royal Hotel is a family friendly 4-star resort next to a lovely beach surrounded among lush greenery of palm trees and bougainvilleas, located 5km away from the pretty town Lindos. Featuring five outdoor pools, one tennis court and three theme restaurants, this resort provides a relaxing and tranquil retreat on the south-eastern coast of the island and Vlycha Bay. Designed in the style of medieval architecture of Rhodes, it has 340 large and bright guest rooms furnished with all modern amenities and free Wi-Fi. There are attached balconies offering magnificent views of the views of the gardens pool and the blue Aegean Sea and the surrounding coves. The island of Rhodes is known since yester years for its remarkable beauty; even the Knights of Saint John loved it. Today Rhodes Island is a favourite site of all travelers for its exotic beaches, warm sunny climate and unique attractions. The resort sits next to a lovely beach surrounded among lush greenery of palm trees and bougainvilleas, located 5km away from the pretty town Lindos with great views of the Vlycha Bay. The distance from Rhodes International Airport is 32.5 km. 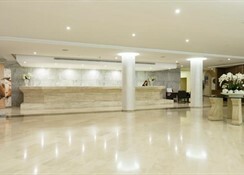 The hotel has 340 deluxe, superior, family rooms and suites with sea view or sharing pools. The air-conditioned rooms come with a Safety Deposit Box,*Direct Dial Phone*,Mini Fridge filled with bottled water only upon arrival, Satellite TV, Seating area, Bathroom with bath or/and shower Hair Dryer and Personal care products. Lindos Royal Hotel has a Main Restaurant servings delicious Greek, Italian, Mediterranean, Asian and International cuisine for breakfast, lunch and dinner. There is an Italian a la carte restaurant which serves delectable pastas, pizzas and other Italian dishes for dinner. There is a restaurant for Greek cuisine too. 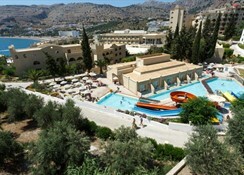 Lindos Royal Hotel has a swimming pool and kids’ pool and terrace besides access to the private beach. There is a fully equipped gym for those who wish to stay active. There is a lovely spa with steam room offering massages and therapies and beauty treatments available upon request. Tiny tots can have fun at Kid’s Club or Playground. The hotel has facilities for Tennis, Games room and Mini Golf. The hotel can arrange diving, snorkeling and canoeing. Guests can also shop at the shops on-site. There is lively evening entertainment too. WiFi is available in public areas and charges are applicable. The hotel was fantastic! Clean, spacious, good food catering for all tastes and friendly staff! Great room next to the pool, can get a little too busy especially when they decide to get the pool nets out for hand ball and your room is directly behind the nets. You are constantly expected to retrieve the ball for players.